Morocco is probably one of the most kid-friendly countries I have ever travelled. As soon as I started taking trains, buses, taxis and visiting the souks with my kid, an entirely different country opened up before my eyes. 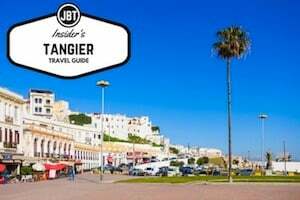 My wife is from Tangier so now, even if we live in Paris, we are in Morocco 3-4 times a year to travel and visit her family. I hate to stereotype, but it really does seem to me that most Moroccans have an extra warm, fuzzy, soft spot in their heart for children. If you spend anytime with a Moroccan family, you can see how this might be. At home, the kids really do rule the roost. 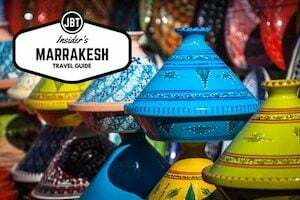 Read on for some great tips and insider notes as we bring you our Parent’s Guide to Morocco. You’ll probably notice that Moroccan families have very lax bedtimes for children, which is understandable in much of the country considering how hot it can get. If you are out and see kids well after dark accompanying their parents, don’t be surprised. In many parts of Morocco, the few hours after the sun sets and the few hours after sunrise are the best times to be out with your child as it is generally much, much cooler. Parent’s Guide to Morocco Note #1: Consider relaxing your bedtime schedule for your trip. If you do relax bedtime, build in time to your schedule for long afternoon naps. That said, my wife and I are relatively successful keeping our rigid 8pm bedtime for our son, though this strictness is sometimes difficult for other parents and our family to understand and we have made exceptions for some nights. What might take some getting use to is just how forward some people, particularly women, can be with your child. They will often kiss your child on the hand or cheek, stroke their hair and ask to hold them. If you have a fair-skinned, blond or blue-eyed child, keep in mind that these are all rare traits in Morocco and considered very beautiful, so your child will likely receive even more attention. As a rule of thumb, judge your child’s level of comfort. You might be less comfortable with these strangers than your child, who might just take a liking to everyone she meets and become accustomed to collecting adoration and small gifts from all these wonderful strangers. I know our son loves the extra attention! Parent’s Guide to Morocco Tip: If you’re using formula or need baby-food, most of them times this is found in the pharmacy. There are usually some options at the bigger chain supermarkets, though most families just make their own baby meals at home. If you are out to eat, nearly all restaurants will bend over backwards to make sure your child eats well, including whipping up a quick purée or spice-free meal for your petit gourmand to enjoy. Of course, it’s not all roses and sunshine. There can be some real challenges to traveling with children. From parent-to-parent, I thought I’d share a few of my favorite tips and tricks about traveling with kids through this gorgeous, though sometimes challenging, country. Some of my tips are just general “traveling with kids” type tips while others are more specific to Morocco. Visit the Souks – Morocco markets (souks) are a feast for the all the senses. For your kid, this means lots of exciting new sounds, smells and even tastes! Vendors will happily give your child trinkets and nibbles along the way, pieces of olive or nougat, that sort of thing. This is great and can stave off any unwanted, hunger-induced tantrums! Though, if your child does have any dietary restrictions, make sure you are aware of this ahead of time, particularly with the sweets as they generally have lots of nuts, have been around nuts, and/or have honey. Rabat Zoo – Recently remodeled, the Rabat Zoo in Rabat, has plenty to offer for kids of all ages, including 5 different environments, from the desert to the Atlas Mountains – meaning your tike can learn all about the flora and fauna around Morocco, including the Atlas Lion and Barbary Macaque. 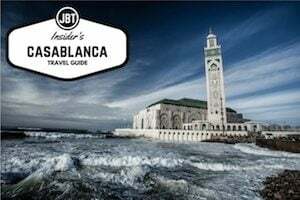 Sinbad Park (Sindibad Parc) – If your little adventure seeker has a thing for Disney theme parks, consider a day at Sinbad Park in Casablanca. With a number of rollercoasters, water rides and an animal park with giraffes, gazelles, lions and ostriches. Palooza Park – If the interest of your kids veers towards the Jurassic, consider Palooza Park, a world of life-size dinosaur recreations, a waterpark, a “6D” theater and a world of fantastic, make-believe creatures. Sure to spark the imagination of your tike. Get a Nanny – With the relatively low cost of help, it is pretty easy to find a childcare worker when you need a little adult time to gallivant around town. Not only will the nanny ensure your child’s safety, the nanny or au pair will likely teach your little one some French or Arabic while you are out adulting! What’s great about this is that your childcare worker will also be familiar with pharmacies, clinics and hospitals, so if there is an emergency, she will know just what to do. Check out greataupair.com or ask your riad or hotel as nearly all of them have a fantastic network of childcare specialists. One major issue that we must state in our Parent’s Guide to Morocco is that strollers are almost useless. Although there are stretches of beautiful, smooth sidewalk bordering the beaches in the big cities, like Casablanca and Tangier, for the most part, my wife and I used a Baby Björn (me) and Je porte mon bébé (her) to get around when our little dude was littler and more baby-sized than he is today. These days, we’ve foregone the slings and strollers for shoulder rides and slow, toddling walks. Any of the major car rental agencies, such as Hertz and Avis, should have carseats available, though this will not be the case with the petit taxis in the cities or the grand taxis that run from city-to-city. Keep in mind that driving in Morocco, especially in the cities, can be stressful and road-signs minimal, making it more difficult for drivers. The stress and difficulty only are compounded with a screaming pint-sized dictator in the backseat. For this reason, try to keep driving distances short, ideally 2 hours, plan to stop often and if you can drive during nap time, even better! Between major cities, the train offers a great, inexpensive way to connect from place-to-place, though travelling with a child does present challenges. The air-conditioning can be unreliable, though most reliable in 1st class, which is why I always recommend you pay the few extra dollars for a 1st class ticket. 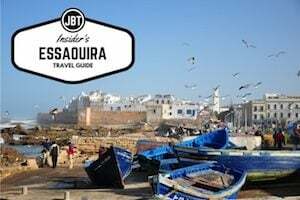 If this weren’t a Parent’s Guide to Morocco, you might get away with the cheaper 2nd class. Though snacks and bathrooms are present on trains, they are generally not equipped to change children and most are not to the levels of cleanliness you would hope. Trains are often delayed, as well, lengthening travel time by 30 minutes or more. That said, almost everyone travels with their kids on the train. It’s possible. Just be prepared. Whatever method of transport you choose, you will want to keep a sharp eye out on the sun and make sure your child is sitting opposite the sun, whenever possible, especially in the summer. Of course, don’t forget the snacks, large bottle of water, and the diaper bag. Parent’s Guide to Morocco Note #2 (for Changing Babies): Some of the upscale shopping malls and a few of service stations along the highway sport baby-friendly bathrooms, so those are your best bets. That said, don’t get your hopes up. For this reason, it’s not a bad idea to change your child outdoors – or, weather permitting, on a bench. Travelers diarrhea can be a real issue for adults and kids. Particularly in the old medinas, you will want to make sure all vegetables are either completely washed, ideally with white vinegar, to kill off any potential bacteria, and prepared in a fresh, clean environment. When in doubt, stick to cooked dishes. Most cafés and restaurants don’t have a real non-smoking section. If your child has asthma or is sensitive to smoke, this can be a real problem. It’s best to ask when making reservations about non-smoking and, whenever possible, to eat earlier as most everyone, particularly smokers for some reason, tend to eat later. If you’re on a terrace or in a restaurant and someone’s smoke is blowing directly into your face or your child’s face, it’s perfectly acceptable to ask politely for them to stop, though depending on the person, the response back might be less-than polite. I find this most often the case with French and British smokers. Drivers are notoriously bad in Morocco and the mix of animal, pedestrian and vehicular traffic can get very nasty, particularly in the cities. It’s best to keep a close eye on your child, hold hands, and definitely look both ways twice before crossing the street. Here is my list of “must-pack” items for our child that we always keep handy for those just-in-case moments. 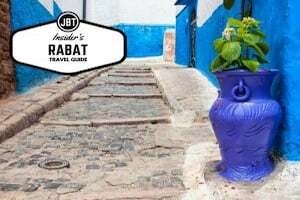 This isn’t totally one country specific, but it fits in well with our Parent’s Guide to Morocco. This might seem like a lot, but in a good diaper bag, we can carry all of this carry-on in just one bag and add a few other things, like our son’s current favorite toy (as of this writing, a triceratops figurine, if you’re curious). Snacks (When he was a baby, we would pack an extra bottle of formula and a purée in a squeeze pack. Now it’s all nuts and dried fruits… my wife insists the snacks are more for me. She is not entirely wrong). See you and your family in Morocco. 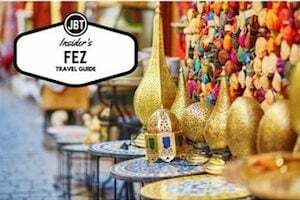 And, for a quick plug, Journey Beyond Travel can help make your time traveling in country fun and low-stress on one of our custom Morocco journeys – for couples, friends, and even families! 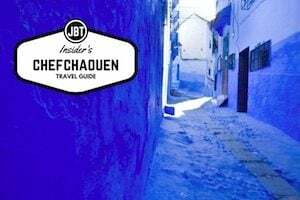 Morocco expert, writer and photographer Lucas Peters curates and edits the Journey Beyond Travel blog and pens the JBT Insider’s Guide series. After spending years traveling to the distant corners of Morocco, he penned the best-selling guidebook Moon Morocco. He is now based in Paris, where he lives with his wife and son.